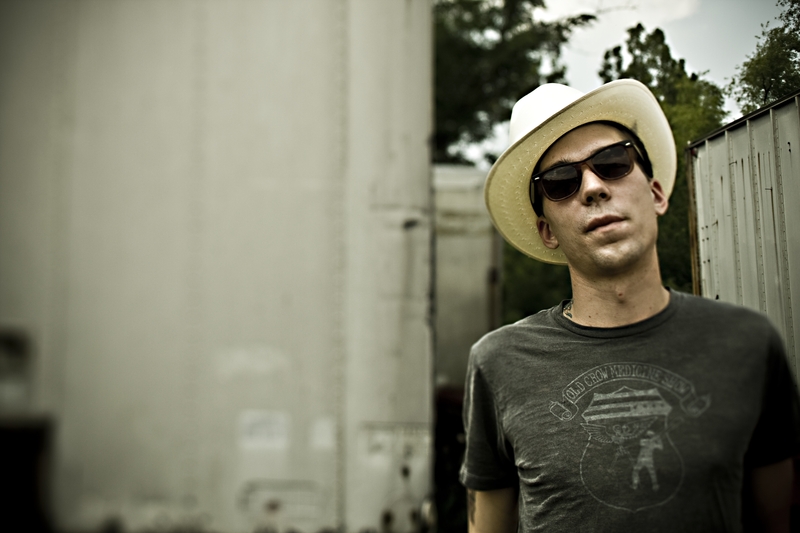 Saturday night, the Mrs. and I got to see Justin Townes Earle play in Port Washington at the Landmark on Main St, a small intimate venue that hosts a few big ticket shows every year due to some serious cash droppers and a sponsorship from the good folks at WFUV. We saw JTE play on The Big Surprise Tour from the balcony of The Beacon Theater, which seemed like it was in a different time zone than the stage, but were on the second row this time. Amazing. He played by himself for about an hour for a crowd of mostly WFUV-lovin-Baby-Boomers. We were blown away at how polished he was and how engaging stage presence was throughout the show. Most of his set list was pulled from his two albums, but gave us a great sample of his upcoming album. Stay tuned for that. We also got to chat with him after the show about his upcoming event at the Bowery Ballroom on March 5. He’ll be playing there with Chicago-based singer-songwriter Joe Pug who he says “rocks like a mother f*cker.” Look for a post on Joe soon. In other JTE news, he was among GQ’s 25 Most Stylish Men of 2010 and the editors of Esquire also listed “Mama’s Eyes” on its list of 50 Songs Every Man Should be Listening To. Opening for Justin was Carrie Rodriguez, an Austin-based fiddler and songwriter who also happens to have a killer voice. Carrie emerged at SXSW in 2001 and gave an impressive performance. Much of her set was filled with dark, ominous Americana songs, but we were most impressed with her fiddle tunes and her closing song, which was in Spanish and written by her aunt – an old WW1 Voice of America legend. Check out her album, She Ain’t Me at the link below.